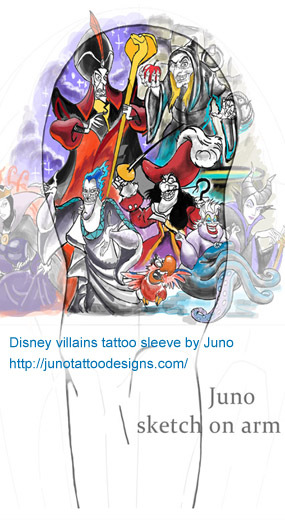 Disney villains tattoo (idea – upper arm tattoo). Contact me If you are interested in this idea for your next tattoo. This tattoo design cost $380. If you are interested in this design for your next tattoo you can do an upfront payment of $180 to start the finished design and the stencil. 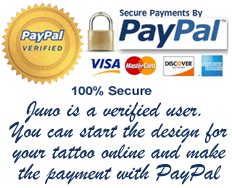 Then, when the design is finished you do the final payment of $200 and I’ll email you the tattoo design and the stencil ready to print and bring to the tattoo shop of your area.